In this post you’ll discover a clever idea you can use to integrate video into a promotion of your school or college. We are coming into an age of short video compilations. You’ll notice sites like Vine.co or Instagram focus on short videos less than 15 seconds. What the University of Oxford have done is create a short video compilation focusing on just one subject area. Humanities. This is clever as it doesn’t try to accomplish too much. It’s a lead-in video. Even if someone isn’t directly interested in Humanities, it would encourage them to find out what other subject areas might be available at Oxford. Those that are interested in Humanities will feel like this University is specifically for them. You’ll notice in the comments, they have put a direct link to the Humanities Course page on their website. The one extra thing they could have done here is put a direct call-to-action on that page to encourage visitors to proceed with an application. When it comes to reaching more people on the internet, it’s always better to publish two or more short pieces of content rather than one long one as you can target multiple specific keyword phrases in your titles, descriptions, and tags etc. This will help you rank higher for specific long-tail keyword terms which is much easier than general terms. Sometimes there is a place for a long piece of content so don’t discount that entirely but it depends on your intended goal and purpose for the content. Oxford does have a longer version of this video, but I would assume they created this 15 second version to post on Instagram and reach more followers. You could copy this idea for your school. By focusing on a specific subject area, it immediately gives you opportunity to create multiple videos for other subject areas. 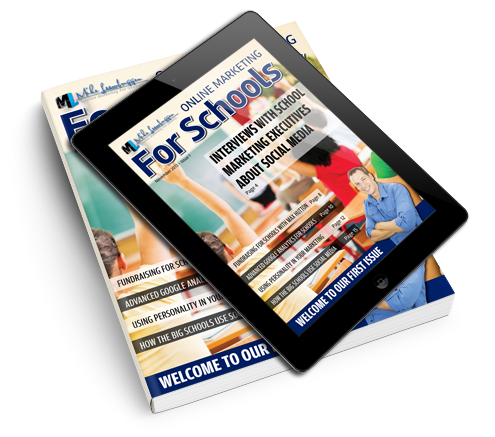 To find out more about social media marketing for schools, go towww.onlinemarketingforschools.com and request a phone consultation. Which ad sizes work best for online ads?